Kennesaw homeowners choose hardwood flooring because of its warm tones and smooth luster. This type of flooring also ages well, and many people enjoy the appearance of worn wood floors. Hardwood floors are relatively low maintenance, but they still need to be cared for properly. If you live in a home with hardwood floors, you'll probably experience problems with your flooring, but you can feel some relief knowing that hardwood floor damage can be repaired by an experienced contractor. Moisture – Excess moisture is hardwood flooring's archnemesis. Cleaning this type of flooring shouldn't involve much water because prolonged exposure to moisture can cause the floorboards to buckle, swell, or harbor mold and mildew. Scratches – One of the most common types of damage to hardwood floors is scratching produced by heeled shoes, sand and grit, pet claws, and heavy appliances and furniture. Waxing and buffing can repair the scratches. Dents – Heavy impacts can harm your hardwood flooring. If you want to repair dents in your hardwood floors yourself, you can place a damp towel over the dent and hold an iron above it for up to 5 minutes. The steam will cause the wood below to swell and fill in the dent. Be careful not to expose the undented flooring to the steam. Once the floor is dry, it can be refinished. Spills – Accidents happen, but you don't have to cry over spilled milk. Simply clean up food spills as soon as they occur. Use a dry cloth to soak up the spill, and if residue remains, clean the flooring with a slightly damp cloth. If your hardwood flooring has experienced many spills over the years, you may want to hire a contractor to wax the floors. Regular Wear and Tear – Heavy foot traffic is bound to wear down your hardwood flooring. The finish of your floor will dull as the years go on, so you may want to schedule waxing or refinishing services from a contractor. Burns – If you have hardwood floors in your kitchen or next to a fireplace, then you may notice burns on the flooring. Minor burns can be removed with simple refinishing, but major burns should be scraped off and sanded down. A wood filler can then be applied, and the flooring can be refinished. Pets – Your furry companions can wreak havoc on your hardwood floors. Any minor staining caused by animals can be sanded, but extensive stains may necessitate floorboard replacement by a hardwood flooring specialist. As long as you know how to maintain your hardwood floors properly, you'll be able to keep them in excellent condition. 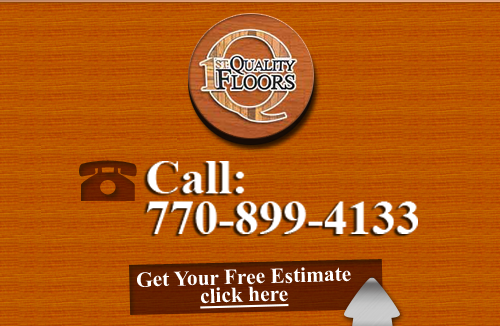 If you require assistance replacing floorboards or cleaning, waxing, or refinishing the hardwood floors in your Kennesaw home, don't hesitate to contact trusted hardwood flooring experts at 1st Quality Floors. 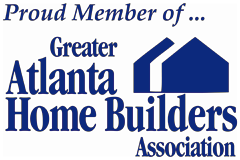 If you are looking for hardwood flooring, then please call 678-615-7799 or fill out our online request form.